Blogs and Press Releases are the best way to really show what your company is made of. Centel Media believes that press releases and blogs are crucial to our company because they allow our clients, employees, and any individuals interested in our company the chance to know more about us. Centel Media is the top reputation management company out there today. 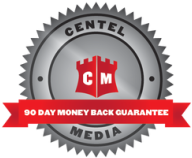 We are dedicated to doing all that we can for any individuals that are interested in Centel Media, not just our clients and employees. Press releases are written by professionals and are regarded as dependable sources of information. Our professional team on the other hand writes blogs in order to give all individuals interested in Centel Media some insight on online reputation management. Centel Media has created a number of press releases to date. Press releases provide a number of benefits reciprocally to Centel Media and our clients, employees, and followers alike. It is a marketing tool that has never failed. All individuals and businesses can benefit from press releases, because it provides visibility and expertise within a certain field. They increase visibility because it lets customers know more about you or your company and at the same time it makes you or your company more known to journalists and other media outlets. Establishing expertise is another benefit because once you gain the trust of your customers; you get the trust of your competitors. By doing this, you will gain media credibility because whenever a discussion comes up about you or your business; you will be the first person the media goes to. Highlighting successes and other advancements within your company is just one of the many uses for press releases. We also believe that blogging is extremely important for all individuals that are involved with Centel Media because it provides a number of positive benefits. Blogging can help our company increase our digital presence on the web and make sure that everyone knows what we are all about. We have a team of professional writers who blog on issues, topics, and events that our company deems important. We want to use blogging as a way to build a relationship with among our company and our customers. We stand out from our competitors because we want people to know what Centel Media is all about and our overall message is clear and concise. Nothing is secret or hidden with us, which is why we emphasize the importance of blogging in regards to concepts that we feel strongly about. Feel free to browse our press releases and our blogs in order to know the latest news about the web and what Centel Media is all about.